THE EARLY EFFORTS to establish working class political representation did not meet with easy success. In his first contest as an independent labour candidate, in the 1888 Mid-Lanarkshire by-election, Keir Hardie sometimes lost the then standard �vote of confidence in the candidate� at his own public meetings. At a time when most trade unions supported the Liberal Party, the governmental alternative to the Conservatives, workers would frequently shout him down for �splitting the vote�. That was not the response received, however, by the candidates of the Trade Unionist and Socialist Coalition (TUSC) in May�s general election, even if the votes they won were no greater than the pioneers of the early Labour Party. That TUSC�s vote would be squeezed in the context of a polarised general election was recognised by its participants when it was formed in January this year. The �Americanisation� of British politics, with the capitalist New Labour party no longer seen by workers as �our party�, has created a deep sense of powerlessness amongst millions of working class voters. A report by the Department for Communities and Local Government, published without comment during the election, revealed that just 22% of people now feel they can at all �influence decisions affecting Britain�. (The Guardian, 30 April) What is this if not an expression of the effective disfranchisement of the working class, in the absence of a mass workers� party that had the confidence of the working class to fight on their behalf? An upsurge of workers� struggle, which will come, could dramatically transform that consciousness � and create the basis for a new workers� party to develop with mass traction. But, in this election, TUSC could not fill the vacuum. Those workers who did come out to vote � and the turnout rose in this election from 61% in 2005 to 65% � plumped for �the lesser evil� against the threat of the Tories. Creditable votes were won by TUSC candidates in Coventry North East (1,592), Tottenham (1,057) and Glasgow South West (931) but generally TUSC polled no higher than Socialist Party and other left candidates had in previous elections. The main purpose of TUSC, however, was to reach the most militant workers, in the trade unions and the unorganised as well, with the arguments for independent working class political representation. And in this it achieved some important successes. Twenty-one TUSC candidates were officially endorsed by the executive committee of the most combative industrial trade union in Britain today, the Rail, Maritime and Transport workers� union (RMT), and a similar number of RMT branches backed and donated to local campaigns. Outside the RMT, support was won for individual candidates from branches of the Communications Workers� Unions (CWU) and the GMB and UNITE general unions, and the Scottish region of the Fire Brigades Union. This follows � and, indeed, deepens � the process started by the formation of the No2EU-Yes to Democracy coalition, backed by the RMT, which contested last year�s European elections. The TUSC steering committee includes, in a personal capacity, the RMT general secretary Bob Crow, and fellow executive member Craig Johnston; the assistant general secretary of the PCS civil servants union, Chris Baugh, and the union�s vice-president, John McInally; the vice-president of the National Union of Teachers, Nina Franklin; and the recently retired general secretary of the Prison Officers Association, Brian Caton. Amongst the TUSC candidates were nine branch officers of the UNISON public sector union, a CWU branch secretary and an assistant secretary, a University and College Union branch secretary, and three RMT branch officers. These latter included Bill Rawcliffe, the RMT senior steward at Jarvis Rail, who only decided to stand, after a mass meeting of rail engineering workers, when Jarvis went into administration on March 25th and made 1,200 workers redundant. Significantly, it was not until the Jarvis workers decided to stand a candidate that Bill received a concerned phone call from his local New Labour MP Ed Miliband! This fear the capitalist politicians have of workers taking �politics� into their own hands is just a hint of what a trade union-based workers� party could achieve in the future, in beginning to change the balance of forces in favour of the working class. TUSC exists precisely to be a �Doncaster on a national scale�, in other words, a banner available to be taken up by workers moving onto the political plane. The steps that were taken in this election � small though they were � on the road to re-establishing independent working class political representation, alone justify the TUSC campaign. The outcome of the election, with a Tory-Lib Dem government and the Labour Party now in opposition, does not change the task that TUSC has set itself. The character of the Labour Party, transformed in the 1990s into New Labour, has not been changed by the election vote. There was, in some areas, a return � very limited at that � of its working class vote, out of fear of the consequences of a Tory government. A detailed survey of voters conducted by Greenberg Research confirms this, concluding that people �voted Labour to defend public spending� but that there was no �ideological content� to this, �no vision that brought people to Labour�. (The Guardian, 17 May). How could it be otherwise after 15 years of New Labour consciously counter-posing itself to �Old Labour� as a pro-market, �business-friendly� party? The actual result still saw the biggest fall in seats for Labour since 1931, the lowest share of the vote since 1983, and 4.9 million fewer votes cast for Labour than in 1997. Most important, however, is the fact that the nature of a party is not determined just by the composition of those of vote for it � otherwise the US Democrats would arguably be a workers� party (and the 19th century Liberals too). Another critical factor in the dual character of �Old Labour� as a �capitalist workers� party� were the possibilities that existed in its structures for its working class base to assert their interests against the party�s pro-capitalist leaders. Those channels were systematically destroyed in the past two decades and the election result has not changed that. The crisis of working class political representation persists and will be starkly revealed in the events ahead, as the new government unleashes its �savage cuts�. While all analogies are limited, because different conditions effect how social processes unfold, Hardie found himself contesting the 1888 by-election as a local miners-nominated independent labour representative because the Liberal Party, then in opposition to a Conservative government, refused to accept him as their candidate. Other �labour representatives� had been allowed as Liberal candidates on other occasions but Hardie�s candidature had developed out of bitter strike movements against local Liberal-supporting mine-owners and was not acceptable to the Liberal Party leadership. In the �Greek-style� battles to come, with the new wave of Labour-controlled councils, for example, passing on Tory-Lib Dem cuts, the prospect of independent trade union and anti-cuts candidates will grow. TUSC emerged out of discussions by those involved in the No2EU election coalition � launched, it should be remembered, just 15 months ago � which in turn was a response to an upsurge in workers� struggle in early 2009, particularly the Lindsey oil refinery construction workers� strike and RMT battles against European Union directives undermining workers� rights. 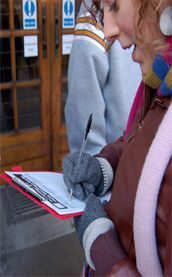 No2EU, involving the RMT, the Socialist Party, the Communist Party of Britain, Solidarity�Scotland�s Socialist Movement, and others, worked on a �federal� basis, with decisions being reached by broad consensus while each participant had the right to produce their own material supporting the coalition. The Communist Party, which was an active member of No2EU, eventually decided not to be involved in TUSC � while the Socialist Workers Party (SWP), after some debate, was invited to join in March � but the consensus method of organisation was carried on into TUSC. While discussions will no doubt take place on the best way to organise the coalition as it develops in the future, certainly for the next period the federal approach must continue. By continuing to group together in an electoral coalition the most militant leading trade unionists in Britain today, TUSC can be an important catalyst in furthering the process towards independent working class political representation.